Supaflow’s vision remains to be a leading and accomplished Injection Moulding company that works side by side with customers to achieve the best in quality, price and delivery. 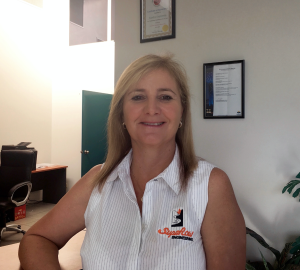 Supaflow Engineering is a family owned business based in Meadowbrook, Queensland. Leading Queensland in Plastic Injection Moulding, 3D Product Design and Toolmaking, Supaflow’s reputation for the highest quality moulds and manufacturing is unparalleled with 30 years experience in the industry. Supaflow strives to provide its customers with world-class injection moulded plastics and tooling that is cost-effective and delivered within required timeframes. The team at Supaflow Engineering supply no obligation free quotations, so you can see exactly how the company will work with you to save money and meet and exceed your Plastic Moulding needs. As a leading automated Plastic Injection Moulding company, Supaflow offers only the highest quality production while maintaining their reputation for the most cost effective moulding shop in Brisbane. Supaflow Engineering’s advanced facilities allow it to efficiently provide a range of services to facilitate the entire process from concept design using 3D CAD software, prototype samples, CNC plastic injection moulds, to final plastic injection moulded component production and packaging with the assistance of innovative, cost-efficient six-axis robots. Whether it be custom injection moulding, CNC tool making, blow moulding or CAD design & development, Supaflow Engineering has the knowledge and experience to ensure all of your needs are met and exceeded. We look forward to working with you to help your existing or new product development and manufacturing ideas come to life.